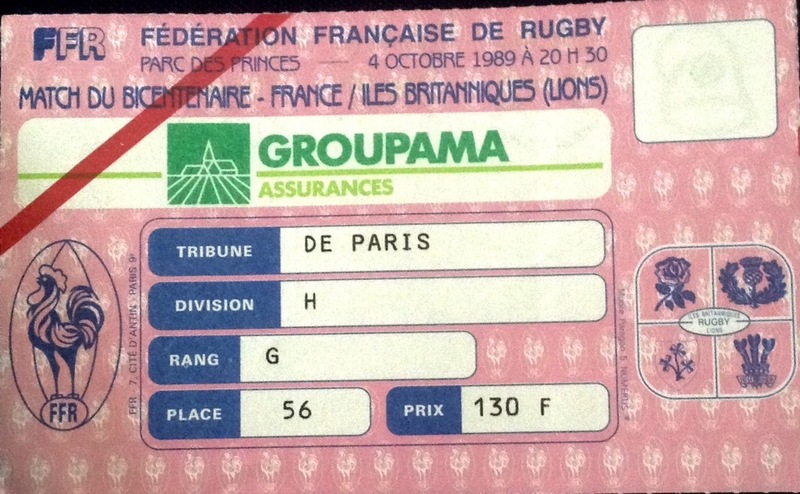 On 4 October 1989 France faced the British Lions at Parc des Princes in a match to celebrate the bicentennial of the French Revolution. The great and the good, and evens yours truly descended on the 16th arrondissement, filling the cafes and bars ,the aroma of “steak frites” filling the balmy night air, and not a guillotine in sight. 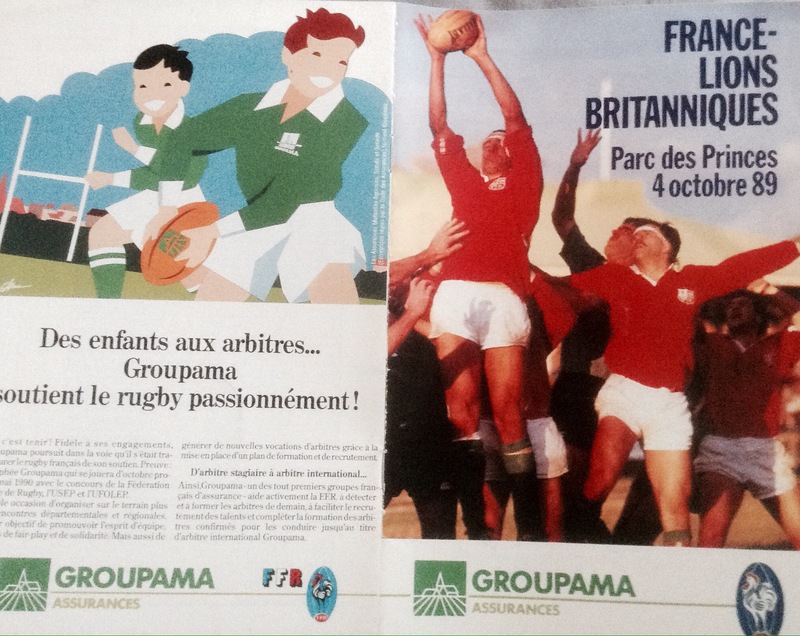 28,881 people turned up at various stages of the evening to watch, well you can’t rush a Parisian dinner after all. Kick off time was scheduled for 8.30pm, but with all the pomp and ceremony it was nearer 9pm before the match actually got underway. The Lions had won the series in Australia the previous summer, and eleven members of the victorious series winners played in the match. 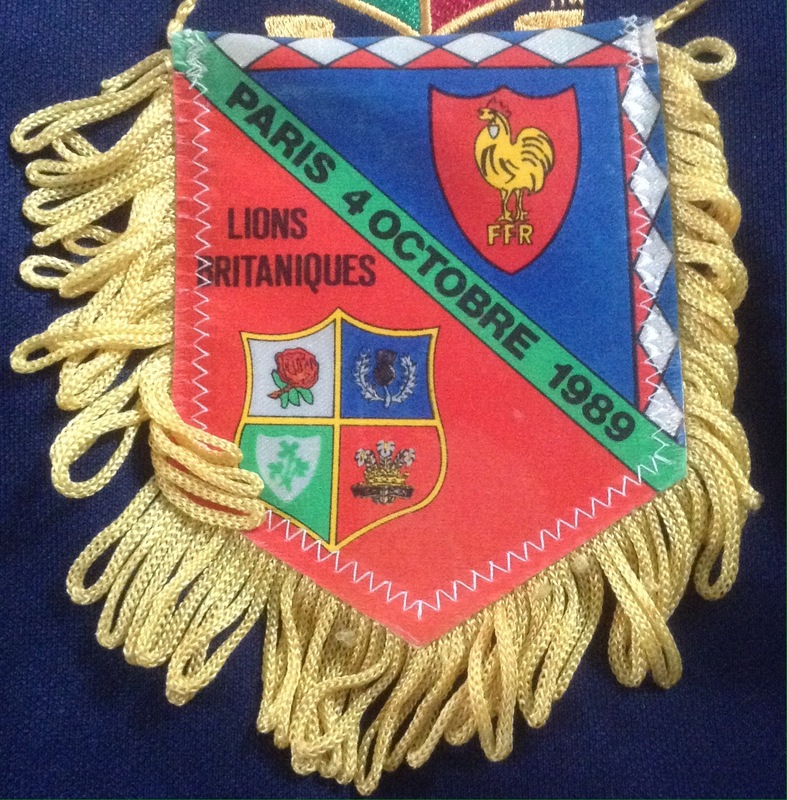 The Lions scored a try in the opening minutes after a classic Guscott break found Rob Andrew inside, and he ran under the posts untouched, Gavin Hastings converted. Two further Hastings penalties gave the Lions an early 12-0 lead, before France replied with a Camberabero penalty, and a Serge Blanco try which Camberabero converted, making it 12-9 to the Lions. A try from Gavin Hastings made gave the Lions a 16-9 lead at half time. 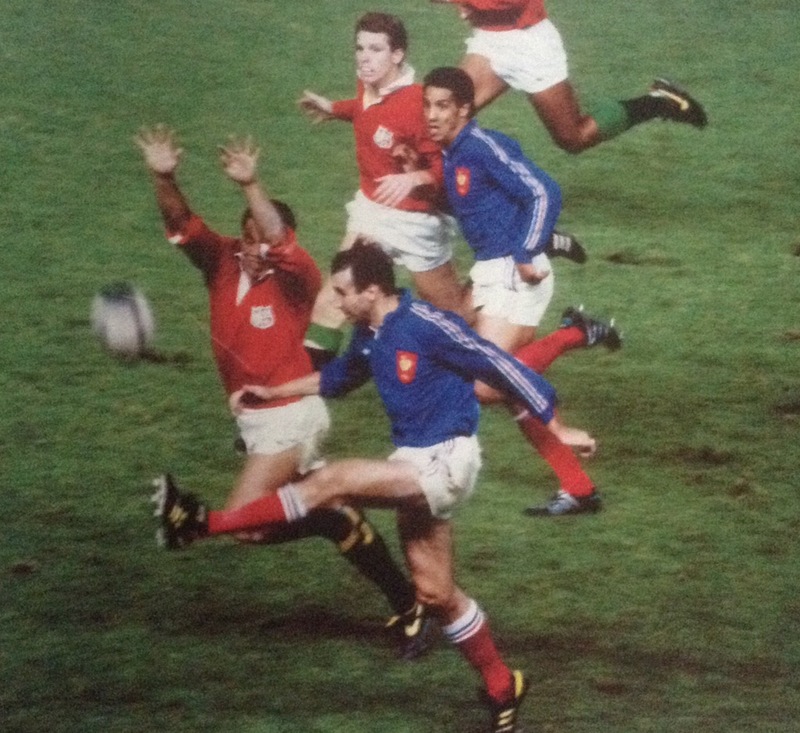 At an hour when most Parisians were heading to their beds, the second half got underway, with Gavin Hastings landing a penalty, and scoring a try created once again by Guscott, 23-9 to the men in red. A typical Rob Andrew drop goal increased the Lions lead to 26-15, as the match see sawed back and forth. 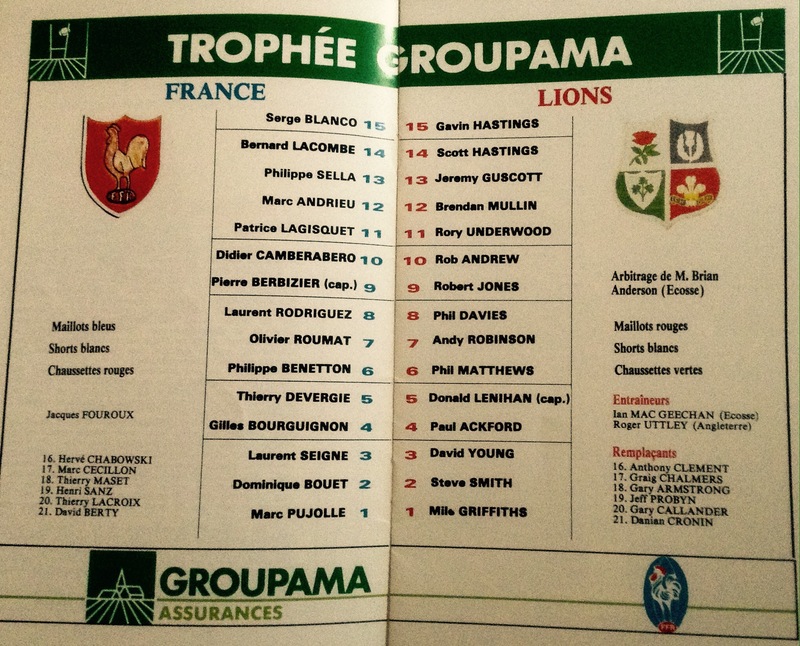 In the final minutes France pounded the Lions try line, before Camberabero went over for a try which he duly convereted. With the score at 27-29 the Lions were relieved to hear referee Brian Anderson blow his whistle for full time. A defeat for the hosts, but no heads would roll on this occassion thankfully.